Discussion: Rhodiola is a perennial plant native to cold regions, such as Tibet and Siberia, and has been used in traditional folk medicine for thousands of years. 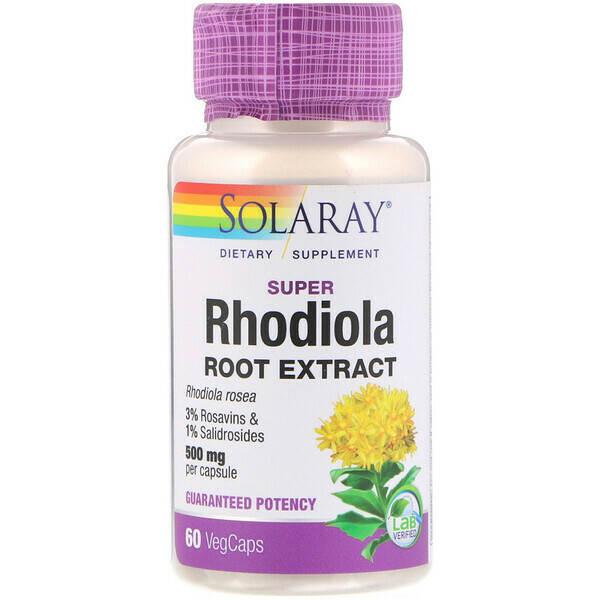 Rhodiola is known as an adaptogen, a unique class of herbs that supports the body's ability to deal with physical and mental stress. 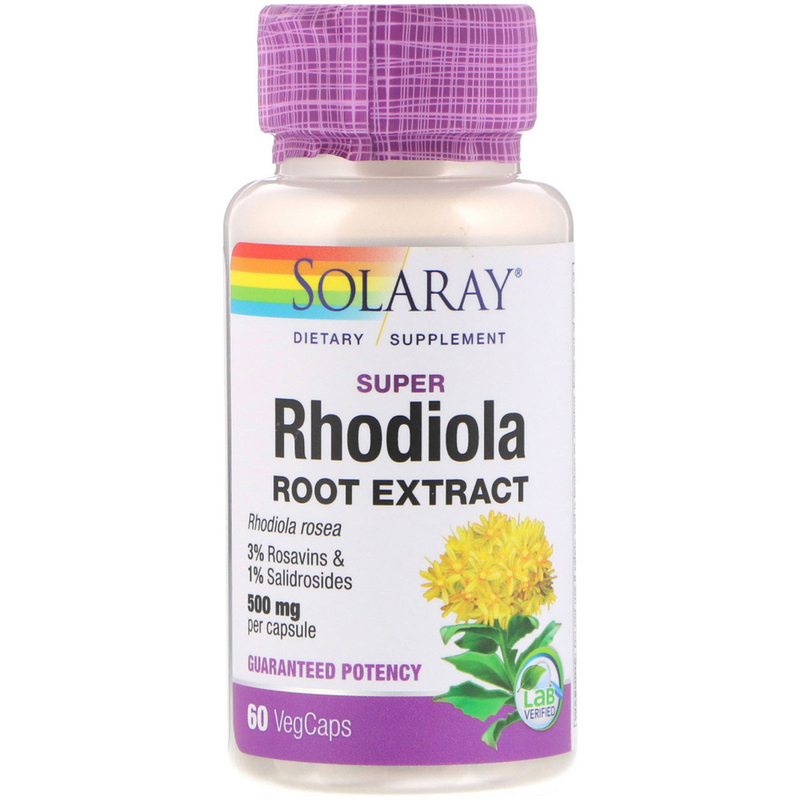 Research suggests that the compounds found in rhodiola, rosavins and salidrosides, may provide nutritive support for healthy stress levels as well as healthy stamina and energy production. 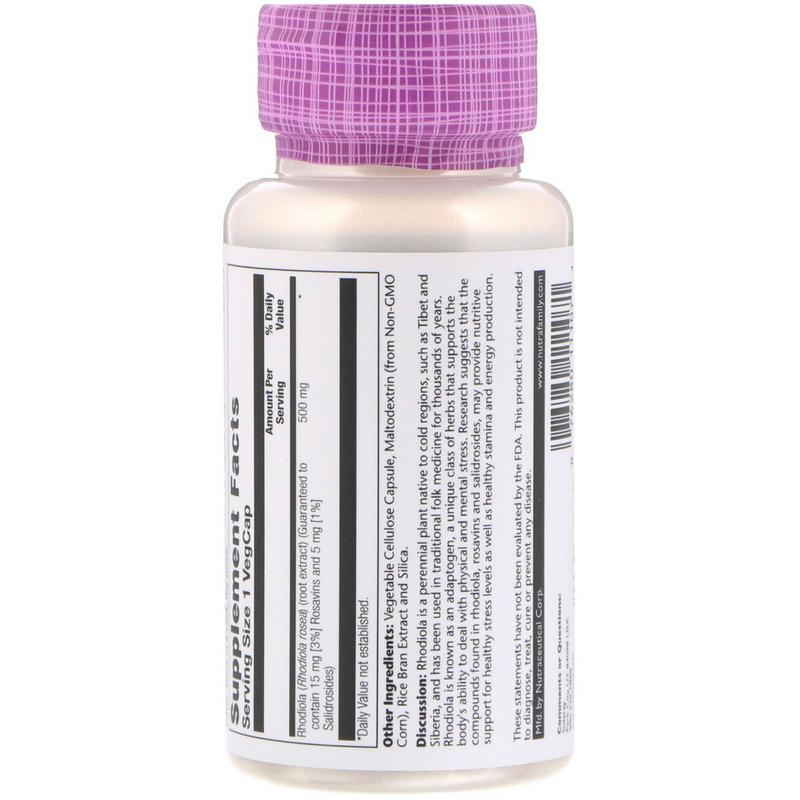 Vegetable cellulose capsule, maltodextrin (from non-gmo corn), rice bran extract and silica.